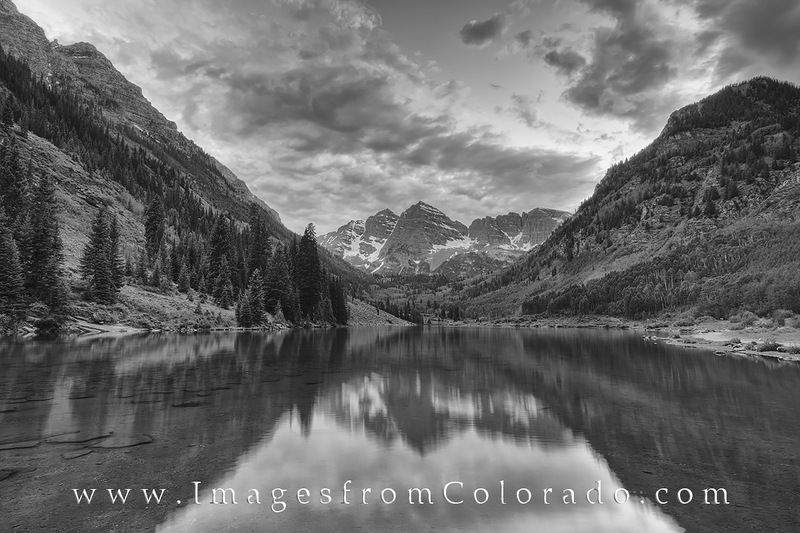 Clouds drift over the Maroon Bells and Maroon Lake near Aspen, Colorado, on a perfect summer evening. Nestled in the Elk Range, North Maroon and South Maroon Peak are two of the state's most well known and photographed mountains. Both reach over 14,000' and dominate the Rocky Mountain landscape. Photo © copyright by Rob Greebon.